World Cup 2018 fever is hotting up as England could potentially face a semi-final appearance for the first time in 28 years but first they will have to defeat Sweden in the quarter-finals. 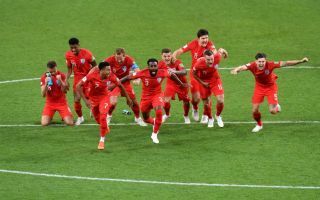 Gareth Southgate’s men beat Colombia 4-3 on penalties and created history by ensuring the Three Lions won their first ever shootout at a World Cup. Harry Kane scored in normal time to take his tally to six goals in the race for the World Cup Golden Boot, however, England conceded a stoppage time goal to take the game into extra-time, before a dramatic penalty shootout after. According to The Sun, Jamie Vardy (groin) is a doubt and was cited as a reason why he could not take a penalty in the shootout. Dele Alli was moving gingerly in the match as he battled to overcome a niggling thigh problem, however, as per The Evening Standard, the Football Association said that all of the squad – bar Vardy – was fit enough to train. The Swedes will represent a tough test for England and Kane and co will have to be find a way to break through their tight defensive structure. When is England vs Sweden and what time is kick-off? The game will be held on Saturday, July 7 and kick-off will be at 3pm at the Rostov Arena. This fixture will be played at the Samara Arena. You can catch all the action live on BBC1 and BBC1HD. The match can be caught on BBC iPlayer, for license payers.